On this date in 1891, Sherlock Holmes and criminal mastermind Professor Moriarty struggled on the narrow ledge above treacherous Reichenbach Falls. 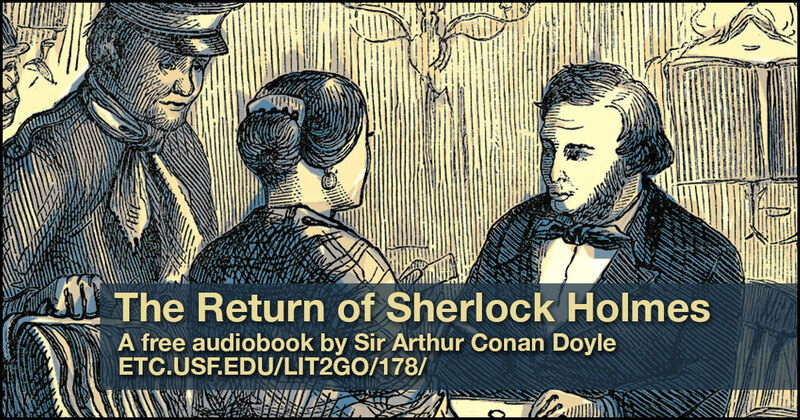 To find out how the cliffhanger ends and learn more about how the most famous detective in literature solves difficult cases, check out our free collection of Sherlock Holmes audiobooks. 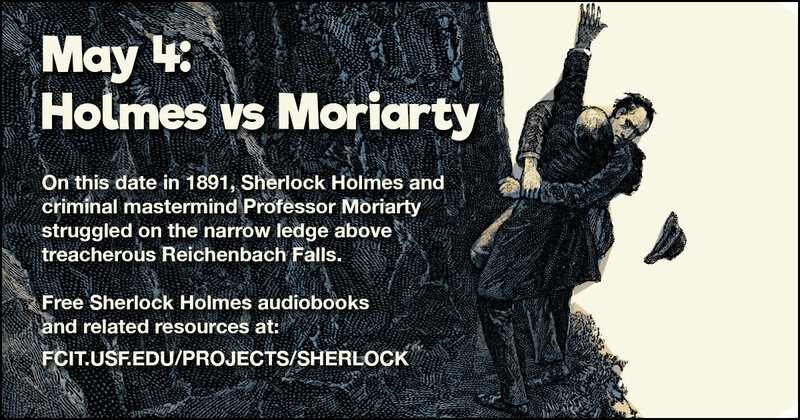 Hint: You’ll have to listen to two different adventures to understand the incident at Reichenbach Falls. 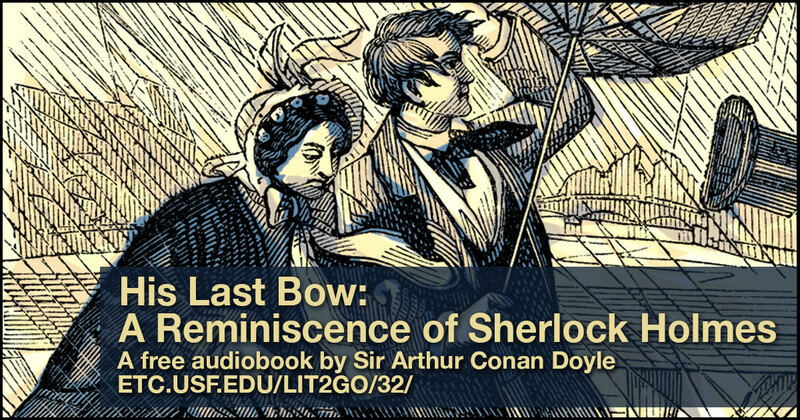 Use this banner on social media to share FCIT’s collection of free Sherlock Audiobooks. 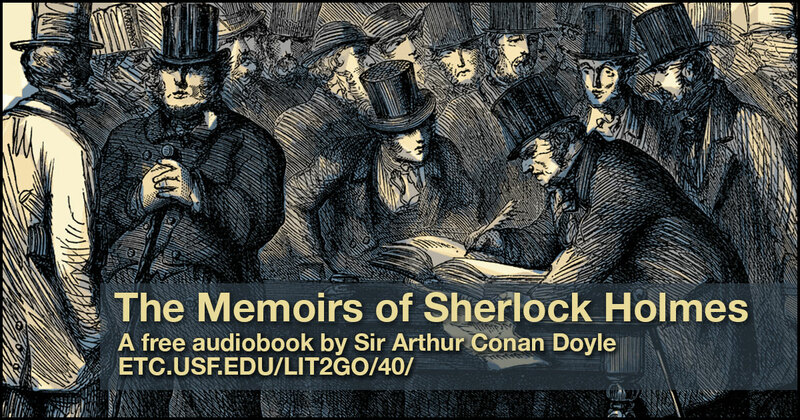 Twelve adventures of Sherlock Holmes published by Arthur Conan Doyle in 1892 from the Lit2Go website. Eleven adventures of Sherlock Holmes published by Arthur Conan Doyle in 1894 from the Lit2Go website. Thirteen adventures of Sherlock Holmes published by Arthur Conan Doyle in 1892 from the Lit2Go website. 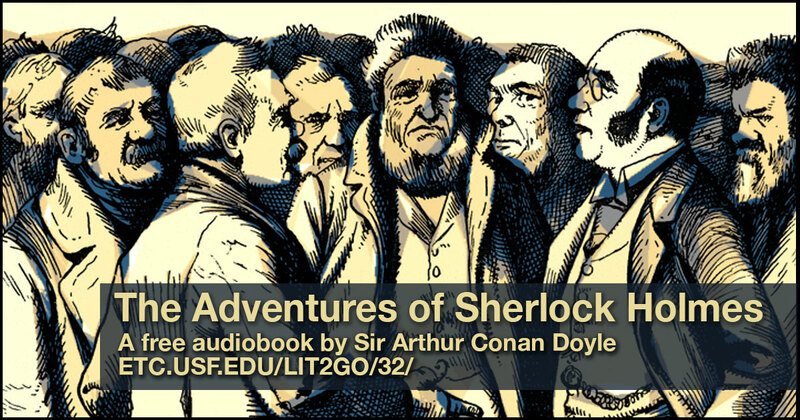 Three adventures of Sherlock Holmes published by Arthur Conan Doyle in 1892 from the Lit2Go website. 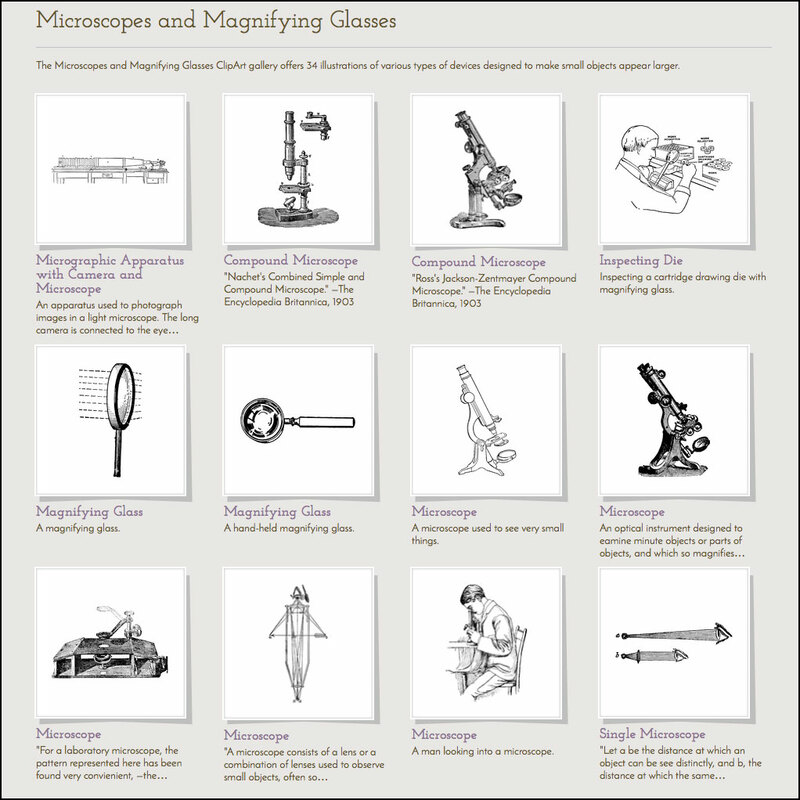 A gallery of microscopes and magnifying glasses from the ClipArt ETC website. Holmes’ reliance on forensic science necessitated using a magnifying glass at the crime scene and a microscope back at Baker Street to more closely examine the evidence. 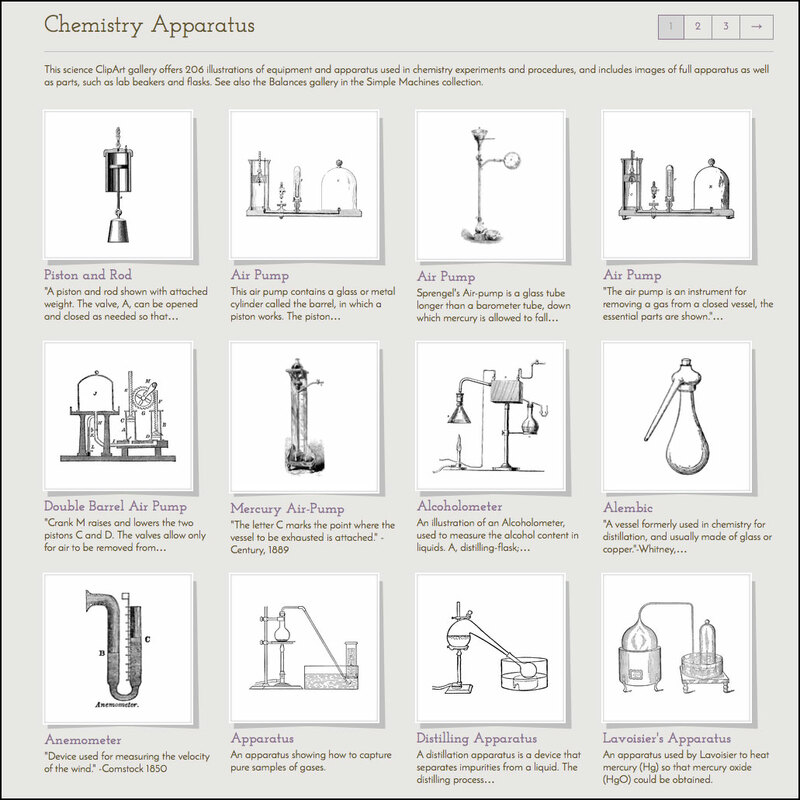 Over 200 nineteenth century illustrations of chemistry apparatus, some of which may have been found in Holmes’ own chemical laboratory which contained retorts, Bunsen burners, test-tubes, and other apparatus useful for solving questions related to blood analysis and toxicology. In 2002, the royal Society of Chemistry bestowed an honorary fellowship on Holmes for his use of forensic science and analytical chemistry in popular literature, making him the only fictional character thus honored. 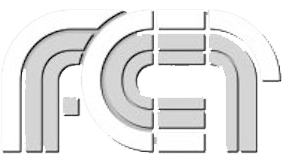 Illustrations from the ClipArt ETC website. 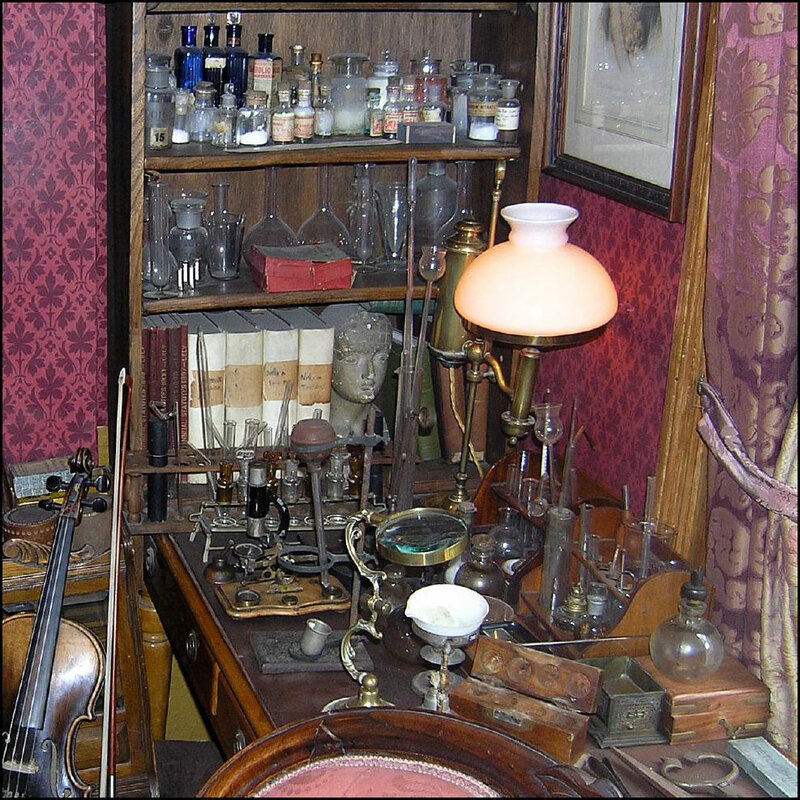 Can you match any of the items in the ClipArt ETC galleries above with any if the items in this photo from the Sherlock Holmes Museum? You’ll find Baker Street just south of Regents Park on our map of central London. 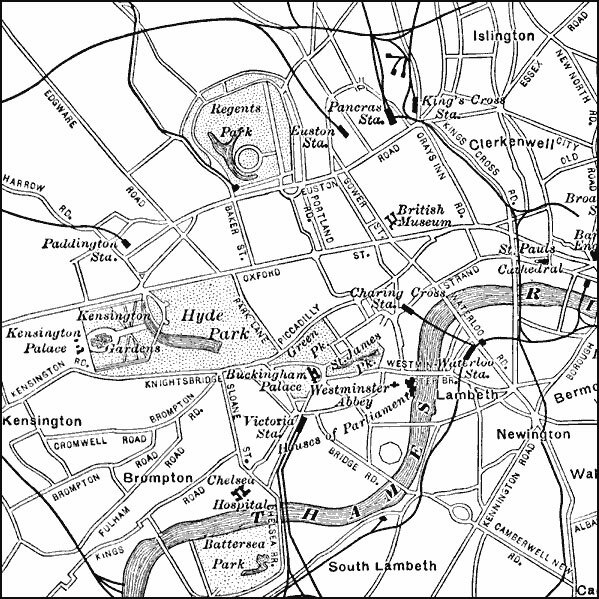 Explore other maps of London and the United Kingdom at the Maps ETC website.